This morning I heard Sonny Vu, Founder of Misfit Wearables, speak at KIROS, a Christian Business Breakfast group that I regularly attend here in the Seattle area. As I listened to him talk about the culture of their company (and about hiring people who fit the culture of a company called Misfit) I thought about how everyone really feels like a misfit, at least in some situations. In the group that really counts for a lot of people, the so-called “inner ring” or “inner circle,” no one really feels they truly fit in. I think this sense of not fitting in is based on our individuality. The bright side of our creation as individuals is our uniqueness. But our fallenness converts uniqueness into a burden. 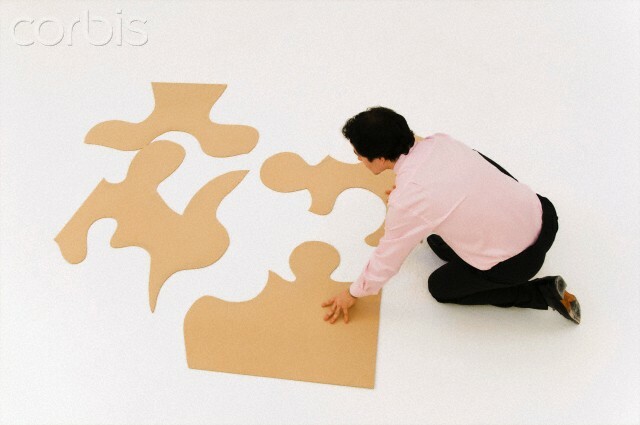 Think of people as pieces of a jigsaw puzzle. Each piece has its own angles and curves and indentations. In a box of thousands of pieces, the maker has cut each one in such a way that it only fits into a few others. But when each piece has found its mates and the whole puzzle comes together, a beautiful scene emerges. When people focus on their uniqueness as individuals, either egotism or despair results. The egotist considers himself special because of his particular angles and curves, while the desperate one regards herself as odd or a misfit because of her differences. Both errors result when we regard ourselves only as individuals and not as pieces of a larger social picture. The true meaning of our uniqueness only emerges when we find people whose uniqueness complements ours and hooks us into a coherent whole. When my uniqueness connects to your uniqueness, something truly special occurs, and the more people we connect to, the more the meaning of it all grows. 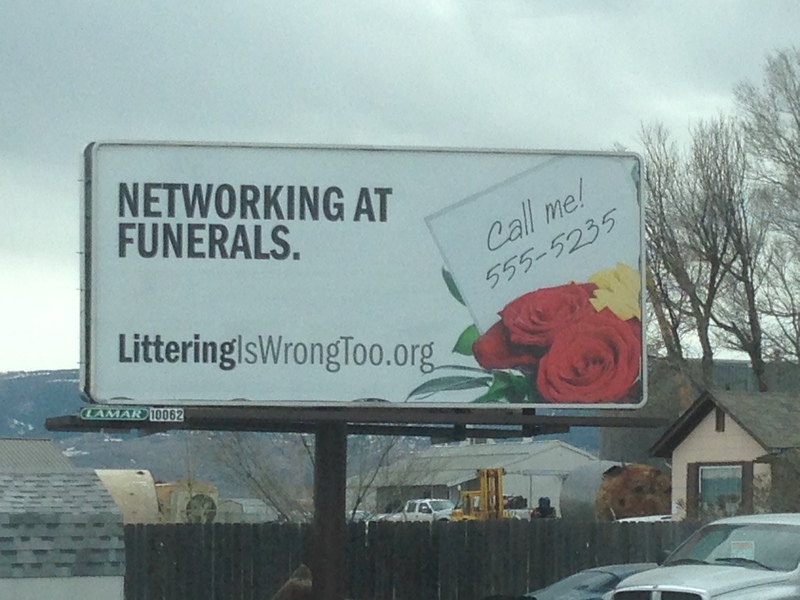 Networking brings people together. Great networking brings people together for the sake of a larger perspective. The Holy Spirit’s networking enlarges the Kingdom of God and gives it meaning in the context of human relationship, love, and shared mission. As a jigsaw puzzle works by combining thousands of odd pieces, the best workplace cultures, the most effective churches, the most functional societes result from the skilled collection and combination of willing misfits. As a leader, you sometimes play the puzzler; sometimes you play the willing misfit. Both roles are crucial to great networking. Last weekend I spoke for an important Hispanic church conference at Life Center Spanish Church in Tacoma. The leaders there asked me to address the topics of The Leader’s Tasks”” and “The Leader’s Team.” In preparing for the first topic, I instantly thought of the classic book, Leaders: The Strategies for Taking Charge by Warren Bennis and Burt Nanus. Bennis & Nanus say leaders must employ four strategies to lead effectively: (1) Attention through Vision, (2) Meaning through Communication, (3) Trust through Positioning, and (4) The Deployment of Self (by which they essentially mean putting talented people to work in ways that allow them to fulfill themselves in service). I decided to share these principles, but since I’m a preacher, I looked for a Biblical text upon which to anchor my comments. As I looked at the launch of Jesus’ leadership in Matthew 4, I was amazed. He began (4:17) by gaining people’s attention through a bold vision: “The Kingdom of God is at hand!” He then began to create meaning through social architecture as he called his disciples (4:18-19) and began to teach them about the Kingdom and their role in it as “fishers of men,” i.e. Kingdom Networkers. Then he established trust and credibility for his organization through positioning as he networked “about all Galilee, teaching in their synagogues, and preaching the Gospel of the Kingdom, and healing all manner of sickness and … disease among the people (4:23).” Finally, after doing these things, he “gave [the twelve] power against unclean spirits, to cast them out, and to heal all manner of sickness … and diseases (10:1)”—i.e., to do the very same works he was doing. Those who know nothing but their Bibles, as Matthew Arnold once famously said, do not even know their Bibles. It is amazing how secular literature on leadership can call out principles that open our eyes to things in the Bible that we gloss right over in our daily reading. It’s also wonderful to recognize that Jesus knew everything about leadership. Though he never wrote a word that survived history, we can find no better textbook on the topic than his open-book life.